This weekend’s adventures included a visit to the Cincinnati Museum of Art where the museum is winding down an exhibition entitled High Fashion. Upon arrival, it didn’t take long for me to realize that I was one of only a handful of men enjoying the display of fashions ranging from the early 1900s to the 60s. But that is fine by me because the collection was stunning. 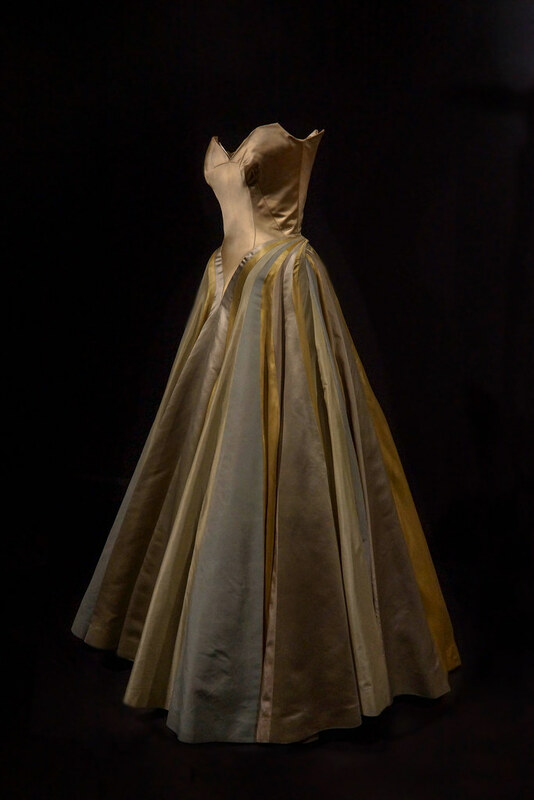 The exhibition included dresses, shoes, hats, and other accessories on loan from the Brooklyn Museum’s costume collection. 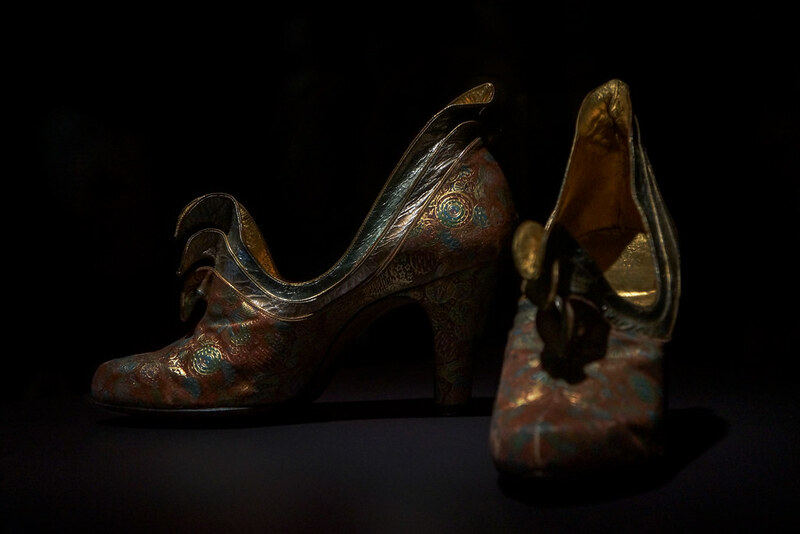 The shoe collection dating from victorian era and the roaring twenties was particularly fascinanting. 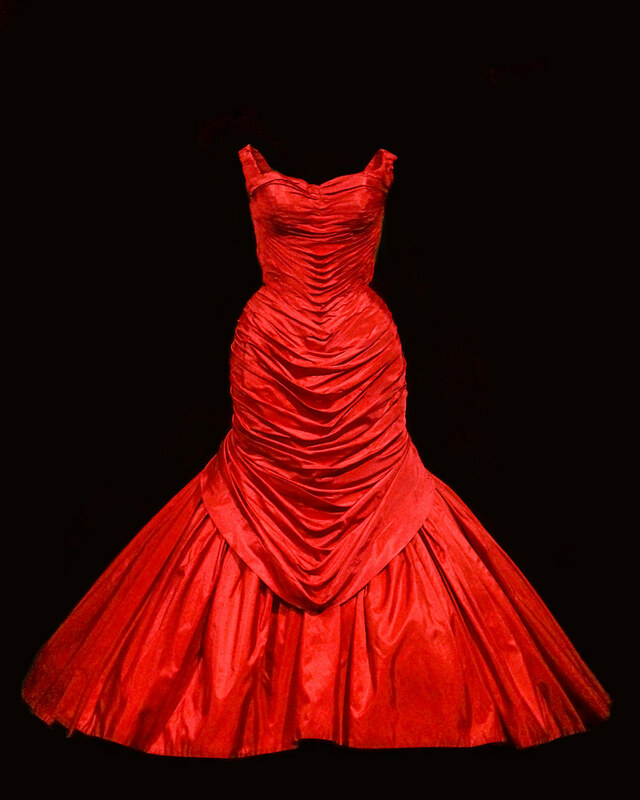 Towards the end of the Exhibition, was this stunning red ball gown. Compared to the less luminous dresses that surrounded it, this dress stood out for its bold red and lines. I was struck by the wonderful curves. This dress was made for a woman with classic curves, not a thin waif. Combined with viewing an exhibition entitled After the Moment: Reflections on Robert Mapplethorpe at the Contemporary Arts Center and an amazing late lunch of Jerk Chicken at Island Frydays, and you could say that I had a great day. As a side note, I made sure to ask the docent if photos were allowed. She laughed, stating that the museum originally banned photography, but they got so tired of telling visitors not to take photos, that they changed their policy and allowed cameras sans flash. Good enough for me! What gorgeousness! Wonderful that you had such a feast for the eyes! The first dress is so elegant and beautiful. Would have loved to have seen those shoes in person, too. That red dress…va-voom!